Seriously, how could it not be the Sonic movie? 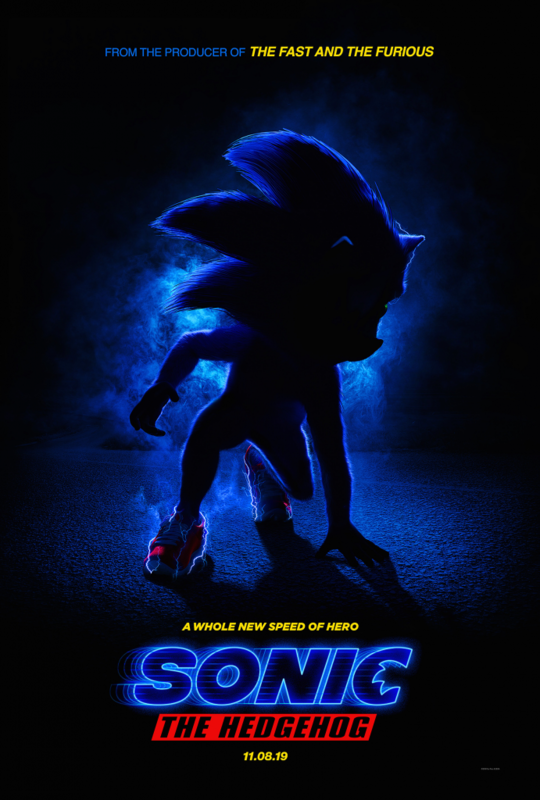 Fueled by speculation, a few leaks, a whole lot of “oh god is that really what they're going with,” the Sonic movie has another 10 months to hopefully prove it's worth something. Until then, the weird social media stunts, unsettling silhouettes, and bizarre promotional material are primed and ready for the REALLY AMATEUR GAMES EXPO 2019! As always, the SAGExpo YouTube channel will play host to the RAGE 2019 livestream on January 25th at 7:00 PM Central. Make sure to subscribe so you don't miss it! Shortly thereafter, this year's pack of games will go live so you can try them for yourself, with the winner being announced sometime in the following week. Give us your best and we'll see you then! *Or your country's equivalent to $50 USD, should the winnerbe outside of the United States. Don't forget! RAGE submissions are due TONIGHT at 11:59 pm Central! Some really great and hilarious entries this year. Thanks to everyone who entered, and to the team behind the stream: I really enjoyed watching it and will definitely participate in RAGE 2020. Vinny from Vinesauce played through a good chunk of these games. It's fun seeing him descend into madness lol. DAMN. I was really thinking we had a shot!! It was Sonic: The Movie: Great Value: Early Access that was having me quaking in my boots - between last year's Sonic Suggests and this, everything this person makes just oozes the feeling of someone who is very professional very professionally creating the most polished, most turdest turds. I hope you can tell I'm not being a sore loser - I thought they'd beat us because I loved it so much. But I ALSO love the curveball winner you went with! Reading your explanation of why you picked it gave me warm fuzzies. The readings of that were so fun, and I was so happy to be around for the RAGE 2019 livestream. Participating in RAGE has been a long time bucket list item for me and making a game was hella fun.